On April 29th, Nicole Richie attended Our House’s ‘Run For Hope’ in Los Angeles, California. Our House provides grief support services, education, resources and hope to children and adults. 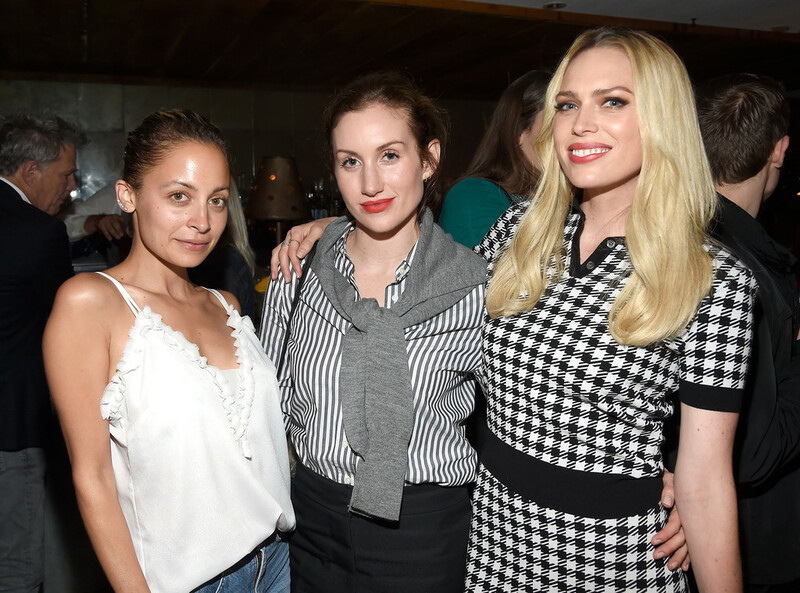 On May 17th, Nicole Richie attended an intimate dinner hosted by Sara and Erin Foster in Hollywood, California. The event was sponsored by Ligne NYC as guests wore items from their line, which included Nicole and Erin wearing the same top – oops! The following day, May 18th, Nicole attended Joyce Azria’s store pop-up “Avec Les Filles” in Los Angeles. 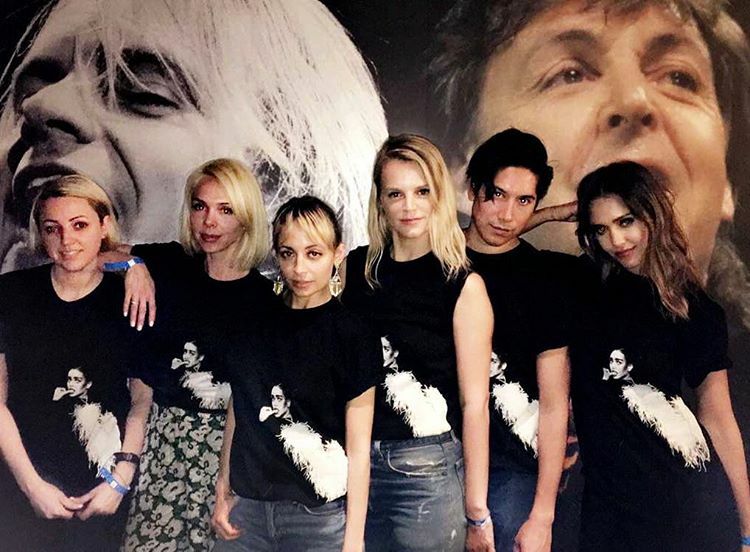 On April 22nd, Nicole Richie attended Jennifer’s Meyers 40th birthday party at Peppermint Night Club in West Hollywood. 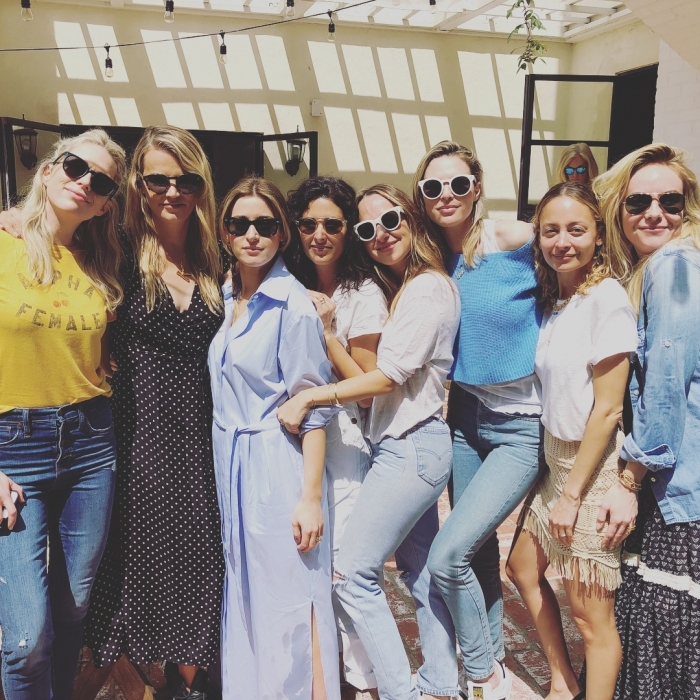 There were many of their other celebrity friends in attendance such as Sara and Erin Foster, Jennifer Aniston, Courteney Cox, Jessica Alba, Katy Perry, Gwyneth Paltrow and Kate Hudson! Check out these fun videos of Nicole dancing from Erin’s Instagram stories. On June 14th, Nicole Richie attended VH1’s “Barely Famous” Season 2 Party starring Erin and Sara Foster in West Hollywood, California. See the photos below and check out Nicole’s Snapchat (itsnikkifresh) story for more! Nicole and Jamie Schneider also shared some photos of Nicole shooting for Darling magazine, which I first posted about at the end of May. Also, check out some behind the scences pictures of Nicole shooting for and working on the campaign you’ve now seen for HOH x Revolve.